Billy McKinlay for Brian Welsh was the only change in personnel as Paul Sturrock pitted his wits against his former club for the first time and he soon found his new charges trailing, Jim Mclnally's hopeful lob appeared to carry threat, but Craig Brewster resisted McGowne's challenge to chip the ball over the head of the advancing Rhodes. For most of the first half, United indulged in some neat possession play, but rarely troubling the Saints defence. 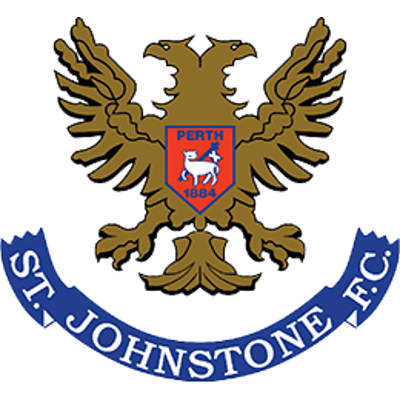 The exception to that was self inflicted as far as Saints were concerned when Andy Rhodes dropped a Billy McKinlay corner at the feet of Paddy Connolly, but he failed to connect properly and sent the ball wide of the target. The game had fallen a bit flat, but sprung into life eight minutes into the second period when McGowne swept a shot from Sean McAuley's cross off the bar. United immediately retaliated with Scott Crabbe running on to Guido Van de Kamp's kick, but dragging his shot wide of goal. With Christian Dailly on for Paddy Connolly, United were beginning to find gaps in the Saints defence as they pushed toward in search of an equaliser. Craig Brewster burst through the middle, but shot over after 63 minutes and three minutes later Christian Dailly curled a shot inches wide after a penetrating run. Seventeen minutes from the end, Alex Cleland's persistence set up a chance to tie up the points. 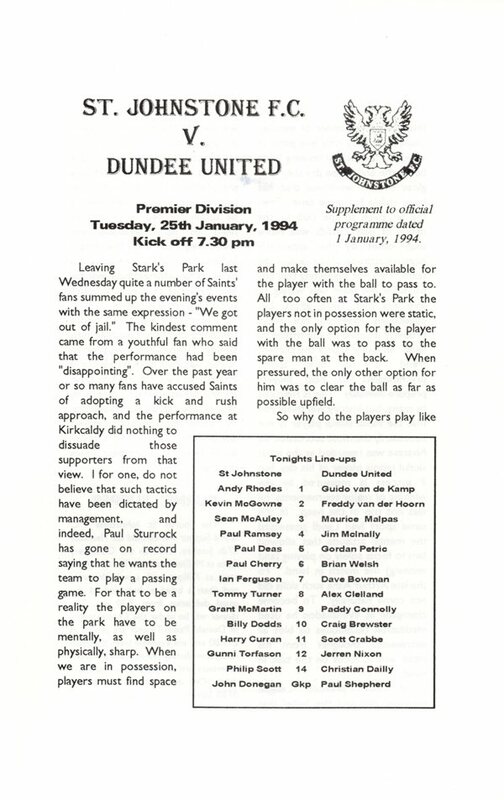 He eventually played the ball in to Scott Crabbe, but McGowne nicked the ball away from the United striker, but only as far as Dave Bowman who powered in a first time drive which rebounded from Rhodes, Craig Brewster blazed the ball over the top when it fell to him. But, United paid for those misses in the very final minute when Guido van de Kamp spread himself to keep out a fierce drive by Ramsey, only for McGowne to head the ball back across the face of the goal for Gunni Torfason to force the ball over the line and salvage a point.